Caravan Towing Mirrors: Make Safety Your First Priority This Year! Caravan towing mirrors serve all kinds of purposes, both on and off the road. In addition to providing drivers with well-rounded road vision, they aid with parking,load monitoring, and offer overall peace of mind.In accordance with the recommendations from the South Australian government, all vehicles towing a vehicle, boat or trailer which exceeds the width of their vehicle should install towing mirrors to extend visibility. This is a standard safety precaution which many drivers neglect, but the pros far outweigh the cons, and poor road vision on the wide-open Australia roads can be lethal. This is something holiday-goers must take into account when travelling with a caravan, but not all retailers have an easy-fix solution! 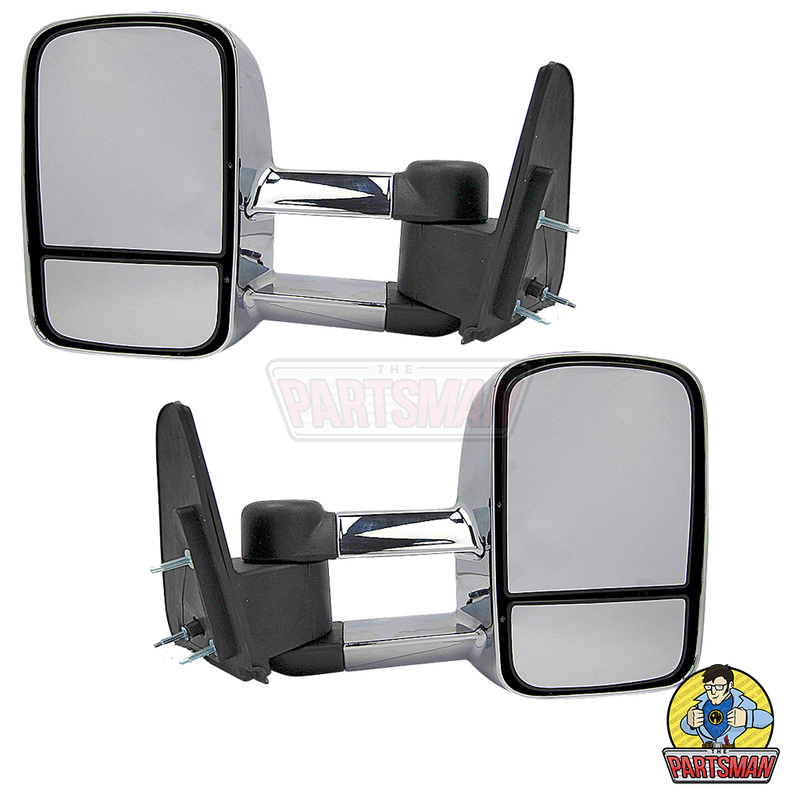 Call the parts man today to get the perfect caravan towing mirrors for your car, we have bits and pieces for all vehicles, saving you the hassle of paying and waiting for painstaking product shipping. Caravan towing mirrors are the kind of thing people unintentionally leave until last minute, which is exactly what the parts man is here for! We’re built on the foundation of safeguarding—we have all your bits and pieces ready right when you need them. We understand that the lives of our customers are only getting busier, leading to more unsolved problems. If we don’t have the part you need in stock, we’re able to arrange same day delivery to get it to you in minimal time! To give our high-quality claim premise, all products come with a 12-month warranty to ensure all of our customers are getting exactly what they’re paying for. Our business was born out of frustration with the existing parts distribution network due to little product knowledge, little variety and lack of flexibility with ordering among traders. You can rest assured that the Parts Man will counter all of these common issues, so come to us for guaranteed quality and great customer service! We have your caravan towing mirrors ready and waiting for your next getaway. 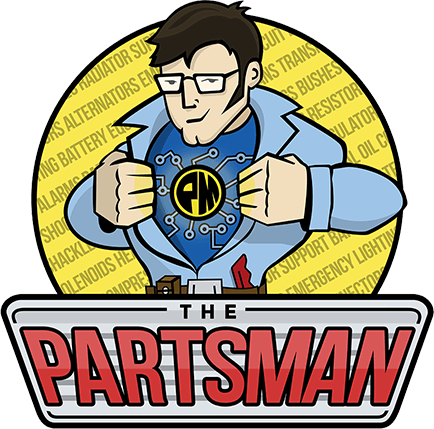 The Parts Man has created a straightforward process for customers across Adelaide. We understand the frustration of missing or broken parts, so we’ve got everything you need to renew and restore your vehicle without the added costs! Check out our range of caravan towing mirrors to score yourself a reliable bargain and click and collect before your next outbound journey. Caravan towing mirrors could ultimately save you this holiday season. As a recommended safety feature, this added vision will give you much better control over your position on the road. We have a huge range of our own high-quality electric towing mirrors fit for all types of vehicles; whether you drive a Toyota Prado or a Mitsubishi Pajero, we can accommodate. These mirrors have been tried and tested in the roughest of circumstances to ensure they are durable enough for the Australian high-ways and backroads. The Part’s Man have also adopted a simple click and collect service which enables customers to drop by and grab the pre-ordered parts they need with no fuss. Browse through our selection online now to choose the parts you’ve been missing, with stores in both Wingfield and Lonsdale, we’ve made sourcing your caravan towing mirrors easy!